A chronicle, from Pulitzer Prize-winning journalist Blais, of the final days and robust history of her family's time at their vacation home on Martha's Vineyard. 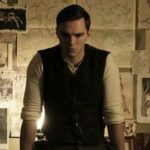 Blais makes no bones about how unhappy she is about her expulsion from the family’s summer Eden, but she is well aware of the dangers of writing what could come across as a 'Lament of the One Percent' ... The book’s snappy tone is exemplified by Blais’s wry comparison of her husband’s old WASP family with her own Irish American background ... A self-declared archivist, Blais relies heavily — sometimes too heavily — on external documents for her portrait of the Vineyard ... To the New Owners sparkles when Blais focuses on her family’s frequently funny experiences instead of trying to capture Martha’s Vineyard with an island tour and a rundown of its offseason activities. Most of the familiar places and names from standard Martha's Vineyard books are here in these pages as well: Peter Benchley and Jaws, visiting Clintons, Carly Simon, Walter Cronkite and the rest. The chapter on formidable Vineyard doyenne and Washington Post publisher Katherine Graham is the most charming in the book, positively luminous with nostalgic affection. And the broader canvas of Vineyard life – the shops, the storms, the wry local humor – is painted with exactly the kind of skill and evocation readers would expect from the author of the bestselling In These Girls, Hope is a Muscle. Madeleine Blais has written a strange book. In part it’s a tour of the island’s faux-casual charms, and as such it’s threaded with mindless chitchat of the sort you find in the TripAdvisor comments section ... Most notably, perhaps, as its title hints, To the New Owners is a steaming load dropped on the author’s former doorstep, a book-length act of revenge, a cleat-hitch slap that will reverberate up and down the Eastern coastline ... Everyone feels possessive and sentimental about the houses they occupy, even summer rentals. But Blais squanders what sympathy we might have, the way those noisy spinning extractors force the water out of swimsuits. 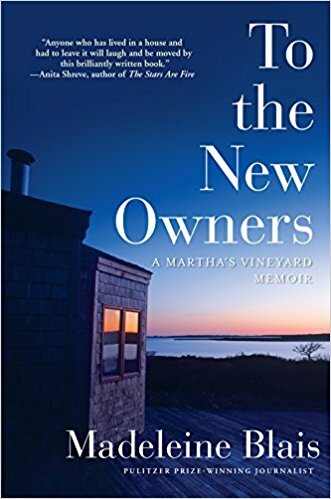 What did you think of To the New Owners: A Martha's Vineyard Memoir?